Aerial photograph of the Great Blue Hole of Belize in the daytime. Scientists across the world agree that urgent action is required to change our current trajectory and limit global warming to 1.5 degrees Celsius before it’s too late. This year, the Intergovernmental Panel on Climate Change declared that at the current rate of releasing greenhouse gas emissions into the atmosphere, the world's corals might completely disappear in less than a century. At Virgin Voyages, the sea is our home, and we're committed to minimizing our environmental impacts while working to secure a healthy future for our oceans. That's why today we're excited to support a historic underwater expedition with the goal of helping increase awareness of our delicate ocean ecosystems and highlight the importance of ocean conservation. 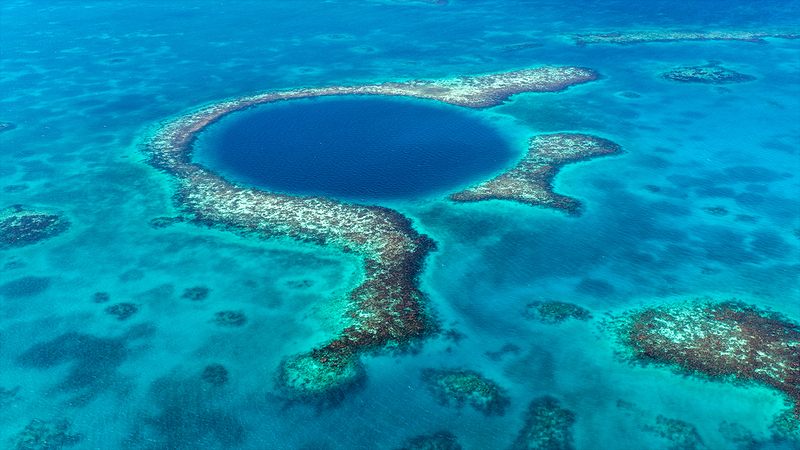 On December 2nd, 2018, Sir Richard Branson and Fabien Cousteau will be diving deep into a UNESCO World Heritage site, a landmark that the Discovery Channel once declared as #1 on its list of "The Most Amazing Places on Earth," The Great Blue Hole of Belize. Shrouded in mystery, Belize's Great Blue Hole is a giant marine sinkhole off the coast of Belize. It lies near the center of Lighthouse Reef, a small atoll 70 km from the mainland and Belize City. It was first made famous by Jacques Cousteau, who led the initial efforts to explore and document this natural wonder. 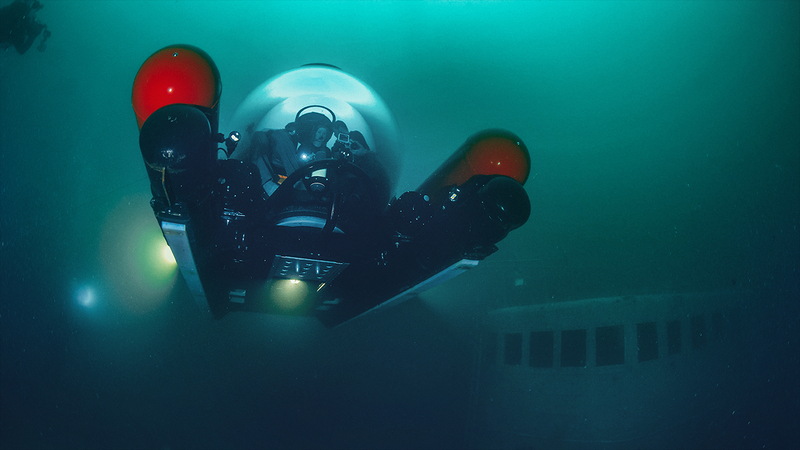 Underwater photograph of an Aquatica submersible that will be used in The Blue Hole Expedition. Piloting submersibles to venture deep into uncharted territory, The Blue Hole Expedition will use sonar technology to map the bottom of this famous marine sinkhole. A small part in a much larger effort of trying to map the entire ocean floor. The team will also be collecting geological samples to study in the hopes of gaining a better understanding of this great Caribbean mystery and the impacts of climate change. For anyone who is interested in following along, the expedition will be streamed live on the Discovery Channel for the world to see. Despite covering 70% of the surface of our planet, the ocean is the least understood, most biologically diverse and most undervalued of all of Earth's ecosystems. More importantly, it plays a critical role at a planetary level to make the Earth habitable. At Virgin Voyages, we believe exploration and education are crucial first steps in gaining a much richer understanding of our oceans and helping us preserve these natural wonders for generations to come. We're committed to doing our part to protect the future of our oceans and in that the future of this world, but it’s not something we can do alone. Sailors, are you ready to join us on this voyage?